Welcome back to the final instalment of my close look at the whole Catch Up® Numeracy process, and the 4 stages that form it. Stage 4 - Ongoing monitoring - is not only the responsibility of the deliverer on a session-by-session basis, there also needs to be monitoring of the intervention on a school basis by the coordinator and the school’s management team. At this school level, this could also include selection of new learners to take part in the intervention. Keep the sessions log up-to-date, as the learner profile only records when you feel confident that a level in a component/subcomponent has been achieved, not how many sessions you have taken. It is particularly important you record sessions you have had to cancel, as this evidence can be important if a learner has not made the progress expected. Have the confidence to use your professional judgement and move a learner on a level by remembering that you will repeat that number range within the next one. For example, if you move a learner onto Catch Up® Numeracy level 7 (0 – 50,) you will automatically reinforce Catch Up® Numeracy level 6 (0 – 20). To most effectively ensure transfer of skills and knowledge developed in the Catch Up® Numeracy sessions, there needs to be an established process of regular liaison with the learner’s class and maths teachers. You have the option to use the Catch Up® Numeracy assessments for learning at appropriate points. 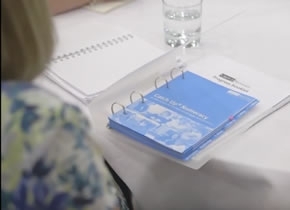 This can be an extremely valuable exercise where a learner has filled a gap in their understanding, either following a misunderstanding ‘glitch’ in the Stage 1 assessments, or through your ongoing support. As regards monitoring for moving learners onto phase 2, remember that the wording is “almost all” components/subcomponents at Catch Up® Numeracy level 6. Exactly which components can still be below Catch Up® Numeracy level 6 will depend on the individual learner and their specific issues. Many learners will have particular difficulties with memory, and will struggle to cross that important level 6 barrier with Remembered Facts and Writing numbers, as obvious examples. This is not really what I would class as a Mathematical problem and I would still use phase 2, but continue to support the learner to overcome their difficulties with these components/subcomponents. Reading number words is another subcomponent which could cause difficulties for certain learners and, again, this is not really a mathematical issue, it is more a literacy problem. However, beware of moving a learner onto phase 2 where level 6 has not been achieved with a Mathematical component, so discuss with your coordinator when you feel the “almost all” could be applicable. Phase 2 is an option, not compulsory. There is the option of continuing just with phase 1 at levels 7 to 12, and, again, this is where you need to discuss your next steps with your coordinator. It is valuable for you yourself to monitor a learner’s record sheets regularly, perhaps on a half-termly basis. This will give you a picture of their progress in terms of miscues, and of their ability (or inability) to answer your response and understanding questions. It will also indicate whether you are asking a variety of response and understanding questions. This is where Proforma 4 can be of value. It is important that there is a settling-in time for new deliverers of Catch Up® Numeracy, before observations take place. However, the coordinator should still provide informal monitoring and support for the deliverer. If there are any problems within the first half term, the coordinator should monitor more closely in the following weeks. Once established, there should be more formal meetings between deliverer and coordinator to review each learner’s progress, so that any issues can then be examined and decisions made. If a learner is not making the expected progress, the school should take action. For example, this could be allowing further time to see if progress is then made, or it could be obtaining more specialist support for the learner. The obtaining of data is essential to provide evidence that you have measured the impact of the intervention. This will most likely be asked for as a formality by Ofsted or Estyn, for example. Reporting to parents and to governors should also be undertaken, and the format this takes will need to be established. It is important that learners’ success is celebrated. Many schools use special assemblies to award certificates to younger learners, but use your professional judgement whether this would be welcomed by your learners. Age. Which year group are you going to choose? My thoughts are always to be proactive rather than reactive, so year 3 rather than year 6, and year 7 rather than year 10. However, the choice is yours as you will make a difference to all year groups. Ability. Are you going to choose the very weakest learners, or those who might just need a boost? All ability levels will benefit, the choice again is strategic. Attendance. If your selected learner is going to be frequently absent, it will affect their progress, and unless you can make quick alterations to your timetable you could find your precious Catch Up® Numeracy time wasted. However, the attendance of this type of learner can be improved by the success that Catch Up® Numeracy can provide. Once the intervention is established within the culture of the school, the offer of Catch Up® Numeracy can become a carrot to encourage better attendance. Attitude. Most learners thoroughly enjoy their Catch Up® Numeracy sessions and look forward to these. However, especially with upper KS2 and KS3, there is often a direct correlation between low attainment and negative attitude – for obvious reasons. But for an inexperienced deliverer, it might be best to begin your Catch Up® Numeracy career with a more positive learner and gain experience before working with the more challenging child. To spend your 15 minutes of every Catch Up® session struggling with a very reluctant learner might not be the best use of your time. However - as with attendance - once established within the school culture, Catch Up® Numeracy can be used as a carrot, and if the sessions are fun then you are likely to develop a more positive attitude within your learner. I hope these points will help you with your delivery and ongoing monitoring. Always remember, however, that your Catch Up® Numeracy file will provide valuable support and should be your first point of reference.